The overriding goal of this Project is to produce a comprehensive primary source document of knowledge that will contribute towards an understanding of the cultural and social foundations of the current Chechen situation, thereby enhancing policymaking capabilities to address the Chechen conflict towards a peaceful but realistic conclusion. The main premise of the Project is that, in the context of today’s “war on terror,” understanding and empathy is not a central goal of many nations. Such a climate is an obstacle to lasting peaceful strategies and solutions. There is a hidden complexity to the Chechen question, but understanding of these fine points is necessary to an international audience of peacemakers, for potential to locate moderate Chechen approaches to peacemaking. Understanding, however, must work both ways: the interpretations in the Project document will be explicitly those of an outsider, which should be instrumental in revealing to Chechens how others might perceive them. Mutual understanding is necessary for fruitful dialogue, which in turn is necessary for peace. *To produce insights addressed to the non-Chechen public that would illuminate and clarify “Chechens” – their conditions, justifications, and mindsets. These insights may be considered “the Chechen point of view,” but written by an outsider who can reflect on why Chechens will be misinterpreted by the rest of the world. *To produce analysis that would be useful to Chechens themselves, i.e., that will offer reflections and insights geared towards mutual understanding in a global human community. This Project application is a request for funding to support write-up of a primary source analytical research document that examines crucial socio-cultural beliefs and trends of the Chechen national group in the context of the current armed conflict. The Project research methodology consists of A) Qualitative field research, and B) Document analysis of relevant published materials. The goal of the study is to provide a valid analysis of the “lived experiences” of a range of “ordinary” Chechens (i.e., those not engaged at the pivotal leadership levels) – including wives, mothers and civilian men, academics and educators, former fighters, community leaders, residents and refugees, etc., and the multi-dimensional roles of each. This analysis will provide insights into the socio-cultural complexities of the Chechen war, to locate potential towards peaceful resolution of the conflict. Primary field research has been completed, and is the result of 10 years consecutive, direct work and living experience with Chechens in the North Caucasus and Turkey, from May 2001 to March 2011. During this period of time, the Principle Investigator served as a humanitarian worker, activist, consultant, neighbor and member of Chechen communities. The field research will be supported by supplemental document research of published materials from a variety of academic sources, news media, humanitarian and human rights reports, and several internet sites related to the Chechen situation. The resulting document will be useful to a range of policy makers interested in a peaceful resolution of the ongoing Chechen conflict. The grant funds are requested to cover the Principle Investigator’s time and basic expenses involved in the primary field research write-up, and for expenses related to the investigation and analysis of supplemental document research to support, compare and contrast the primary findings. A total of $3000.00 is requested to complete this study, and the time frame for completion of the study is estimated at 6 months. The Chechen conflict is widening in geographical scope, and deepening in national division. Gross violations of human rights against the Chechen population, perpetrated by several sides or factions, continue. Non-Chechen civilian populations associated with the conflict remain at risk of becoming victims of violence. Chechnya is an isolated nation, by force and by choice, which increases the vulnerability of the population to the whims of state and faction. Chechens have few friends or allies on the world stage. Chechens are ineffective, inexperienced, and fractious in the realm of international diplomacy, and therefore lack capability to productively represent their selves. Chechens make a lot of mistakes in this realm. Peaceful Chechens lack the mechanisms, structures, voice and capability to promote a sustainable resolution of the conflict. In general, to the world outside of Chechnya and Russia, Chechens are little understood and often misunderstood, and vice versa, and this limits Chechens’ possibilities of surviving, peacefully in the world community. Given these conditions, the current Project proposes to produce a comprehensive, analytical primary source document that explores the Chechen mentality, interpretation and explanation of self, worldview, and reasons for the war. The research will be based on first hand experience, combined with analysis of secondary source documents for supporting, comparing and contrasting suppositions and arguments. Conclusions will sum up the competing world views of and towards Chechens, and will reflect on how misinterpretations on all sides hinder peaceful solutions of the Chechen conflict. The Statement of Problem for this Project is elaborated through several contentions. The concluding paragraphs in this section provide a summary analysis of the problem. The Chechen armed conflict is far from over; there is ample evidence to suggest that it is widening in geographical scope, and deepening in national division. Internal divisions alone, and the promise of “revenge,” promise to drive this conflict well into the next decade at least. The current Chechen armed conflict that began in 1994, is portrayed by Russia as “finished,” or “completed,” when referred to as the “anti-terrorist operation.” Yet it continues, not diminished, but metamorphosed. What began as a national, unified, drive for independence may now be characterized as a highly conflictive struggle for history, cultural meaning, and survival. Kidnappings, disappearances, and killings are usual, and are being perpetrated by a range of groups and factions. Social structures are in upheaval, divisions are sharp and deadly; mere words can give reason to be killed. In short, the threat of violence in Chechnya is imminent, ongoing, and certain. With the help of Russian finance, building and infrastructure repair continues in Chechnya, with Grozny hosting what is now the “largest mosque in Europe.” Meanwhile, 90% of the able population is unemployed, infant mortality rates rival some of the poorest regions of the world, diseases like tuberculosis are widespread, and Chechens cite a recent alarming trend of “sudden death” in youth and young people – a phenomenon they say is caused by long-term crushing stress. Perhaps one-third of the Chechen nation is living outside of the Chechen Republic, as internally displaced inside of Russia, or as refugees throughout the world. Like those remaining inside of the Chechen Republic, Chechen refugees around the world exist largely without prosperity, development, or perspective for future. Geographically the conflict has spread throughout the Caucasus Mountains, into the heart of Russia, western through Europe, and southwards through Turkey and parts of North Africa and the Middle East. Terror attacks and revenge killings associated with the Chechen conflicts occur in many areas of Caucasus, and Russia proper: cities, airplanes, schools, and officials are targets. Increasing assassinations abroad, including in Europe, Turkey, Dubai, and other countries, are evidence of the spread, not containment, of this war. Chechens are a little known, largely misunderstood, and often misrepresented, tiny nation with a worldwide population of not more than 1.5 million. Historically Chechens have remained isolated – geographically, but also politically – under the dome of Russian oppression. Chechens are extremely self-isolating: they are a highly secretive, closed collectivity, sharply suspicious of any manner of threat from outside. To Russia, Chechens are a nuisance, a danger, an embarrassment, and a need. Russia needs Chechnya – its oil and mineral resources, but especially its territorial location and integrity. Chechnya is geopolitically important because of its location between Russia and southern neighbors, and because of the symbolism of Chechnya. Russia, reduced with the fall of the Soviet Union, cannot acquiesce to Chechen independence, at the risk of enticing other Caucasus nations to do the same. To stomp out this threat, Russia brands all Chechens as “bandits” and “terrorists,” and maintains a police state in the region, exterminating resisters, and removing witnesses, including both local and foreign human rights defenders and humanitarian assistance organizers. The U.S. government has listed the insurgent movement headed by Doku Umarov as a “terrorist organization,” a designation that for the uninformed public demonizes the entirety of the Chechen nation. There is some headway in the production of academic texts that identify the multi-faceted character of the Chechen population and war context, including discussion of the changing role of Islam in the conflict, and evidence of the significant role of cultural conflict and differences in prolonging and expanding the war. Much of this documentation is an historical examination of leadership factions; other documents intricately describe ancient Chechen socio-cultural norms and structures. There is yet a void in this literature, however, of detailed analysis that shows how Chechens themselves are experiencing this conflict and differences. c. Gross human rights violations against Chechens are ongoing. The European Court of Human Rights continues to decide cases in favor of Chechens, against the Russian Federation. Yet Russia has world standing and power, and a far-reaching military apparatus. A handful of local and foreign humanitarian and human rights organizations remain active in the Chechen conflict, yet are routinely blocked access, are heavily repressed, their members threatened, removed, and/or murdered. The Russian-backed Chechen leadership has been accused of serious crimes of kidnapping and murder. Yet the cycle of violence is self-perpetuating, because revenge attacks for those crimes are mounting, and planned for the unforeseeable future. The entire Chechen civilian population lives under constant threat, their alliances acutely questioned and ubiquitously under surveillance and disappearances are a usual state of affairs in Chechnya. Recent assassinations of Chechen refugees abroad, including in Austria and Turkey, reveal that international borders do not provide protection against this violence. d. Chechens are inexperienced and ineffective in the realm of cross-cultural dialogue, international diplomacy and positive self-promotion. Chechens are no friends to themselves, and they lose allies as quickly as they gain them. Chechens consistently repeat a multitude of strategic, tactical, diplomatic, and social mistakes. Having at least once been victims of genocide at the hands of Russia, living for decades under the iron fist of the paranoiac Soviet system, and now under a heavy dome of political, social and cultural oppression, Chechens are quick to blame others but rarely perceive their own mistakes. They’re the self-imposed outsiders, and their fractiousness renders them incomprehensible and unreliable. Chechen’s cross-cultural skills are limited and reticent. They have existed in isolation from the rest of the world for most of their history, with the exception of unfavorable encounters with Russians, Cossacks, Kazakhs, and a spattering of Ukrainians and other minorities who settled in the area. Self-defense mechanisms include an extreme distrust of everyone, including other Chechens: in the current climate everyone is suspect. The Chechens are in a fight for their very existence – they believe the war is an onslaught on their culture, is a repeat of the 1944 Genocide. They believe high infant mortality rates are the result of Russians poisoning their babies in the womb; they cite high rates of stillborns and child deformities as evidence of genocide. They believe that Russia, and the West together, are involved in a massive conspiracy to destroy the Chechen culture and way of life – to force Chechens to be like them. Earlier in this conflict, through a trial and error attempt at international diplomacy, Chechen leadership began an appeal to Europe, the U.S., and Middle East, for support for independence, and for halting Russia’s participation in the wide scale destruction of cities, villages and populations in the Chechen Republic. Chechens received little support for their efforts against Russia. Over time, the majority of Chechens has lost faith in these efforts and this has embittered them to the motives of foreign states and peoples. The prevailing mentality is that everyone is against them, they don’t need anyone’s help – they will defend themselves. Violent radicalism has taken root and prospered in this mentality: since justice did not prevail earlier, all means of war are now legitimate. This in turn has pushed other Chechens to alternate extremes for protection – under the umbrella of Russian-backed forces. Efforts to communicate on the world stage, to reach peaceful solutions through dialogue and diplomacy, failed. Now the Chechen insurgency leadership has changed, and with this change moderates, and moderate methods, have been eliminated. This has prolonged the war and divided the population. Chechens who seek peaceful means and goals lack the mechanisms, structures, voice and capability to promote or defend a sustainable resolution of the conflict. e. Chechens as a national group have few friends or allies. Aside from a handful of European parliamentarians, and foreign human rights organizations, Chechens have few empathizers, sympathizers, supporters, or defenders. The fact that they are Muslims, and that a small group of them has committed terrorist acts, lends to their friendlessness. Russia’s strong internal political and police control, combined with the country’s strength in the world community, effectively negate any efforts at peaceful mediation of the conflict, and leave innocent Chechens vulnerable to the state, without redress to protection groups or mechanisms. Perhaps only 2 countries in the world of nations has formally approved of a Chechen bid for independence from Russia. The U.S. officially lists the current Chechen insurgent leadership as a “terrorist group.” The Russia-allied Chechen leadership is no less popular internationally. The European Court’s recent decisions in favor of Chechens, against Russia, are legal decisions regarding particular incidences, and do not amount to support of the Chechen nation, per se. Russia has insisted that the “Chechen Problem” is an internal affair, and has effectively barred foreign aid and rights organizations from monitoring and assisting the situation. Local organizations conduct their affairs under extraordinary threat and repression from the Russian and Russian-backed Chechen authorities. The cause of Chechen “victimization” may have commanded a larger, sympathetic audience earlier in the conflict. Prolongation of the conflict, however, and the persecution and elimination of moderates, has given rise to the dominance of radical approaches and ideologies. Worldwide alienation of the Chechen population has begun in earnest, self-perpetuated from within, by mis-steps, mistakes, and violence. Sharp, desperate social divisions have resulted in the phenomenon that even Chechens don’t trust Chechens. Paradoxically, the ancient collective Chechen identity, centered on pride, honor, tradition, and cemented by oppression, remains intact. The collective identity mandates that whatever the mistakes, Chechens are one’s own, and a lesser evil than the unknown and uncertain outside world. Thus, in the end, the self-fulfilling prophesy prevails: Chechens remain outsiders – impervious to friends, and ever prepared for the advances of foes. Chechen conflict is serious in its degree of destruction and loss of life, and ripe for potential escalation. There is intransigence on behalf of at least two sides, against producing peaceful solutions. Chechnya remains largely obscure on the world stage, thus lending itself to further violence and abuse of the affected civilian populations. Chechen families and individuals are winning European Court cases against Russia, UN resolutions have been passed. Russia claims the war is over. But the future for Chechens and their neighbors does not look peaceful. Under current conditions the future likely won’t be peaceful: the meanings of the war are interwoven into the very fabric of Chechens’ history and culture. The current conflict is a mere echo of Chechens’ collective memory and history with Russia, and for them “honor” is at stake, defeat is unspeakable – these meanings lie at the heart of Chechens’ historical collective culture, and are unbreakable. A spirit of radicalization, born of desperation, dominates now in Chechnya, on several points along the political and social spectrum. This spirit will not bring peace to Chechnya, and is not conducive to peaceful relations in the world community. It is obvious, therefore, that the Chechen conflict needs to be readdressed, reexamined. There must be alternative mechanisms to realistically address the Chechen conflict. Chechens do not have the capability to peacefully and effectively represent themselves in the world community, and incomprehension of the Chechen situation continues within the world community. Peaceful existence in our increasingly global world community requires appropriate representation, and for small, vulnerable nations like Chechens, isolation and misrepresentation only compounds vulnerability and threats to survival. Due to many factors, there is limited real access to the complexities of the Chechen nation. Humanitarian and human rights organizations have documented the war to a fair extent, but this analysis focuses mainly on emergency needs. When an extraordinary event occurs, the mainstream media picks it up. Unfortunately, most interpretations of these events are off the mark: the truth is hidden from them via power structures, and limited long-term access means that media must rely on hearsay as a substitution for solid analysis. The result is that most foreign policymakers and related staff, aside from those operating from the secret depths of security forces, interpret Chechens in largely one-dimensional terms, which usually lie on competing ends of a spectrum of “good” and “bad”: terrorists; bandits, mafia; primitive; patriarchal; oppressors; and, insurgents; freedom-fighters; resisters; genocide victims. Yet Chechens, though tiny in numbers, are huge in complexity. Simplification of the Chechen identity does not lend itself to realistic peaceful resolution of their current conflict. Outside protagonists become disillusioned by the collective Chechen community, when some Chechen elements commit terror acts, and leave them to their fates with Russia. At best, they approach the Chechen problem clumsily and ineffectively. Antagonists misrepresent Chechens, justifying “they get what they deserve.” Chechens, in suspicious secrecy, misrepresent and under-represent themselves. Disappointed and tired, many Chechens have become radicalized, which they justify through the indifference of the world community. There is a limited but growing body of knowledge of the Chechen problem, which includes historical analysis, current human rights and assistance situation reports, and a range of academic articles outlining the roots and events of the current conflict. Many of these articles analyze the main high level players in the conflict, some focus on socio-cultural issues, and in very recent years the “Islamic question” is a main analytical focus of publications. There is a diverse range of materials written by Chechens themselves, including news articles and historical cultural literature. A sizeable proportion of the academic literature presents a “purist” historical account and analysis of Chechen norms. Various Chechen websites currently propagate the Chechen problem, each from a different sectarian perspective. The current Project seeks to contribute to the understanding of the Chechen conflict, with solid realistic reflection on how Chechens interpret themselves, and how they explain the conflict. The Project particularly will provide an analytical reflection of Chechen socio-cultural norms that are central to the roots of the prolongation, splintering, and expansion of the conflict, and an outline of the range of current ideological beliefs that are radicalizing elements of the Chechen population, and dividing the remainder into definitive poles, belief and motive. This Project is also relevant and timely to a larger world audience, given the importance of the “Muslim” question to the analysis. Chechens practice Islam. Yet many Chechen traditional cultural norms can be explained outside of religious beliefs. In fact, under Soviet repression of religion, a sizeable number of Chechens never learned to pray, though prayer is mandatory according to Islam. It is also the case that a number of ancient, traditional Chechen norms parallel Islamic beliefs and traditions, and reinforce one another. Interestingly, a great many of those norms are benevolent and humane, mirroring the best beliefs of all main religions: the centrality of caring for family, mandatory respectful, generous treatment of guests and neighbors, polite social behavior, etc. In very recent years some factions in Chechnya have seized Islam as ideological basis of warfare, and with a goal also to “reform” the Chechens themselves. Many Chechens strongly oppose this ideological misuse of their religion, claim this trend was purposefully imported into Chechnya, and fear it will eradicate Chechen traditional culture altogether, thereby destroying the nation itself. This is an important lesson for policymakers interested in the current and future shape of the Chechen conflict. The basic premise of this Project is that the Chechen question must be reexamined in another direction, and that by analyzing the socio-cultural and ideological norms that are woven into and impact this war, the object of the war, “Chechens,” can be better understood. In doing so, and through the interpretation of an outsider (the project author), policymakers and peacemakers might reexamine their engagement in this project. It is anticipated that this document will also reveal, to Chechens, how an experienced outsider might interpret their norms and beliefs. It is hoped that some mutual understanding may result through this document, to create a space to restart a peace process that will be lasting and genuine. The overriding goal of this project is to produce a comprehensive primary source document of knowledge that will contribute towards an understanding of the cultural and social foundations of the current Chechen situation, thereby enhancing policymaking capabilities to address the Chechen conflict towards a peaceful but realistic conclusion. The main premise of the project is that, in the context of today’s “war on terror,” understanding and empathy is not a central goal of many nations. Such a climate is an obstacle to lacking peaceful strategies and solutions. There is a hidden complexity to the Chechen question, but understanding of these fine points is necessary to an international audience of peacemakers, for potential to locate moderate Chechen approaches to peacemaking. Understanding, however, must work both ways: the interpretations in the project document will be explicitly those of an outsider, which should be instrumental in revealing to Chechens how others might perceive them. Mutual understanding is necessary for fruitful dialogue, which in turn is necessary for peace. There are two main objectives of this Project. 1. To produce insights addressed to the non-Chechen public that would illuminate and clarify “Chechens” – their conditions, justifications, and mindsets. These insights may be considered “the Chechen point of view,” but written by an outsider who can reflect on why Chechens will be misinterpreted by the rest of the world. The Project will examine many different Chechen socio-cultural norms, as well as sets of conflicting norms in the Chechen community, and will describe their present meaning system in the context of the current conflict. Examination of these norms will include the contradictions, changes, and use of these norms to justify and explain the conflict. This document will be a realistic portrayal of the Chechen nation and conflict; it will not be a one dimensional portrayal of the Chechen nation and conflict. It will attempt to represent the Chechens as well as possible from their own perspectives. However, it will also leave visible the interpretations of the author, the Principle Investigator. How an outsider perceives the Chechen experience has significant impact on her/his interaction in the current conflict. Retaining the Western opinion in this document maintains the validity of the document’s text, and also should be instrumental in comparing the attitudes of at least two distinctly different cultures and backgrounds. 2. To produce analysis that would be useful to Chechens themselves, i.e., that will offer reflections and insights geared towards mutual understanding in a global human community. Just as most outsiders are misinformed regarding Chechen meaning systems, Chechens are equally lacking in understanding of foreigners. There is a cultural wall between Chechens and outsiders, on which is mounted understandings rooted in centuries of history and tradition. In the document for this proposed project, the outsider’s perspective, which will remain explicit in the textual analysis and interpretation, should be illustrative to Chechen readers, as an example of how an informed western world might view them. Many Chechens believe in the “clash of cultures,” but it may be instrumental towards dialogue, to illustrate that mutual understanding is possible. The Project’s methodology consists of A) Qualitative field research, and B) Document analysis of relevant published materials. The primary qualitative field research has been completed. From these findings basic topic categories and research questions have been located, as detailed in sections below. Supplementary document research will be conducted through the Project grant funds, as a means of supporting, comparing and contrasting field findings. The primary research source for the Project entails long-term in-depth qualitative field research, conducted over a 10 year consecutive period of time from May, 2001 to March 2011. The goal of the qualitative research is to provide a valid analysis of the “lived experiences” of a range of “ordinary” Chechens (i.e., those not engaged at the top leadership levels) – including wives, mothers, civilian men, academics and educators, former fighters, community leaders, residents and refugees, etc., and the multi-dimensional roles of each. From May 2001 until September 2003, the Principle Investigator worked with Chechens in the Republic of Ingushetia, constructing humanitarian programs for the Chechen population there, including temporary settlement schools, vocational training, youth groups, teacher education, and a Culture Center that administered a variety of education and culture projects for Chechen academics, artists, teachers, and children. From September 2003 until March 2011, the Principle Investigator lived in a Chechen refugee camp in Istanbul, Turkey, as a volunteer advocate for Chechen needs and rights. As a full community member in the camp, she lived within the boundaries of Chechen adat, endured the same physical and social conditions of the camp with the refugees, and participated in the range of community responsibilities. During these field experiences, the applicant did not take notes or formally document events, relationships, or conversations. Rather, the applicant willingly underwent a fairly thorough re-socialization into Chechen socio-cultural norms, and lived the experiences of Chechens as completely as possible (notwithstanding particular social and political obstacles to doing so). During project work with Chechens in the North Caucasus, the Principle Investigator served as a coordinator, organizer, educator, leader, team member, and fundraiser. During time in the Istanbul refugee camp, she served as advocate and consultant, participant-observer, but at all times a community member living side-by-side with Chechens. The qualitative research methodological approach was that of “discovery” and pattern-seeking, through observation and participation, over a 10-year period of time in direct relationships with Chechens. During this time, many generalizations and commonalities were discovered, along with inter-social differences, changes, and discrepancies. Data collection methods for the field research consist of a wide range of observations, first-hand experience, relationships, reflection and learning. Research data consists of tried, tested, and retested analysis, reflection, and anecdotes, in combination with Chechens’ stories, anecdotes, analysis, explanations, behaviors, and relationships. Through this long-term analysis, the Principle Investigator has identified repeated patterns that appear most relevant in Chechens’ lived experiences, along with changes in these patterns. These patterns are grouped into general topic areas that are described and analyzed, as follows. Each of these topics will be analyzed via examination of experiences, events, and anecdotes. Particular attention will be given to Chechens’ interpretations of these topics and concepts, and the differences between “historical traditional” explanations, and among Chechen individuals and groups. The analysis will retain a focus on the connection between these patterns, to ongoing conflicts in Chechnya, thereby illustrating the roles of these areas and differences in the conflict. General research questions are aligned by topical area. There are 13 main research questions; sub-questions further refine the investigation. 1. What are the historical traditional socio-cultural norms and relations of Chechens? – How does the academic formulation of these norms compare with the lived interpretations and experiences of Chechens today? – Do Chechens see their norms as changing today? Due to what factors? – Are there differences amongst Chechens as to interpretation and practice of these norms? – What differences may be attributed to political-social forces and factors, how, and why? – How does the Principle Investigator interpret these norms and relations? – How do published academic materials describe the meanings of these concepts? – How do ordinary Chechens describe these meanings? – How do Chechens perceive and practice these concepts in lived experience today? – Are there differences amongst Chechens as to interpretation and practice of these norms? If so, how do Chechens perceive these differences? – How does the Principle Investigator interpret these concepts, and the differences amongst Chechens in their application? 3. What main socio-cultural symbols and rituals are relevant to Chechens’ lives? – What main common symbols and rituals may be continuously observed amongst Chechens, such as holiday rituals, weddings, foods and food preparation, accommodation of guests, clothing style, child rearing, and social relations? – How do ordinary Chechens describe and explain these symbols and rituals? – What are the differences amongst Chechens in practicing these symbols and rituals? – How does the Principle Investigator interpret these symbols and rituals, and the differences amongst Chechens in their application? 4. What forms and patterns do gender roles and relations assume amongst Chechens? – How are these patterns and relations described in published academic materials? – How do ordinary Chechens describe and explain these gender roles and practices? – What are the differences amongst Chechens in practice and understanding of gender roles? – What is the Principle Investigator’s analysis and interpretation of Chechens’ gender roles? 5. What is the formulation of “Chechen Identity” in relation to guests, neighbors, strangers, and foreigners? – What is the traditional Chechen interpretation of these roles and relations (as described in academic materials and through anecdotal explanation by Chechens)? – How are these roles and relations practiced amongst contemporary Chechens? – How might context and situation correlate with the actual practice of these social relations? 6. What are the parameters of “Islam” in Chechen culture, social relations, and politics? – How do published materials describe the role of Islam in Chechen culture? – What patterns of Islamic practice and interpretations has the Principle Investigator ascertained? – What differences exist amongst the Chechen population towards perception of the role of Islam in significant social, cultural and political institutions? – How does the Principle Investigator interpret these differences? 7. What patterns of subsistence strategies (i.e., “earning a living”) are common amongst Chechens? – What are the socio-cultural rules of these patterns (labor choices, labor conduct and relations, and gender references? – How are Chechen patterns of subsistence described in academic published materials? – How do ordinary Chechens describe these patterns? – How does the Principle Investigator interpret these patterns? 8. What main concerns do Chechens have, taking into account differences, towards daily needs and perspective for future – both individual and collective? 9. How do Chechens, taking into account differences, explain the current war conflict? – What are the sources of the conflict? – For what reasons did the conflict begin and why does it continue today? – How might the conflict be ended? 10. What are the main socio-cultural-political differences, opinions, and conflicts that are prevalent at present amongst Chechens? – According to Chechen perspective and interpretation, how are these differences defined, how are they manifested, what are their sources, and what are their consequences? – How does the Principle Investigator perceive these differences, interpretations, and consequences? 11. What major socio-cultural commonalities amongst Chechens may be located? – How do Chechens describe these commonalities? – How does the Principle Investigator interpret and explain these commonalities? 12. How might serious socio-cultural-political differences amongst Chechens be seen as exacerbating or prolonging the conflict, as obstacles to peace and well-being? – Prepare the Chechen nation to peaceably co-exist in the world community, with prosperity and well-being for all Chechen people? Supplementary document research will be conducted for the proposed Project, to help explain, support, and contrast the field research findings. The supplementary research will include news stories, historical information, cultural analysis, depictions of the Islamic question, and current propagations in varied media and internet sites. The Bibliography section of the proposed Project lists several preliminary sources; other sources will be investigated and examined as the field research write-up and analysis proceeds. As an example, Lecha Ilyasov (2009) intricately details the prominent socio-cultural norms of Chechens, from historical perspective, and including folklore and cultural artifacts. This work serves as invaluable knowledge about “traditional” Chechen culture, in ideal pure form, and as imagined and documented by an educated scholar. Particularly relevant is Ilyasov’s description of Nokhchallah, “a system of moral values intrinsic to a Chechen due to his ethnicity. It tells him from people of other ethnic communities.” (p.68). Lyoma Usmanov also describes some important concepts in traditional Chechen culture, including the meanings underlying “God, People, Native Land, Freedom, Dignity, Honor, and Nobility.” It will be interesting to compare the writings of Usmanov, a political representative of Ichkeria, with those of other Chechens. Comparing and contrasting these formal writings with the descriptions and lived experiences and practices of a wider range of Chechens will prove uniquely informative. The current plight of Chechen culture is a recurrent theme amongst varied Chechen groups and factions, and is also a source of major contention. Generally, there is common agreement amongst Chechens that the grand historical culture of the Chechen nation is degrading. Musa Akhmadov, a prominent writer and specialist in Chechen history and culture, describes one perspective: “Today…there remains the feeling of constant psychological pressure. It is the regrettable result of the activity of those wishing the Chechens to abandon many of their purely national customs and traditions which are allegedly in conflict with the requirements of Islam;” “Whatever the situation, now it is of primary importance to offer resistance to the radical trends imposed from without, however alluring their slogans” (1999, p.112). The perspective of assault against the Chechen culture is also often linked to Russian and Western motives. Islamists often argue that Chechen suffering is rendered by Allah as punishment for moral degradation. Other Chechens claim that the “moral decline” is a consequence of war itself. The “Islamic” question is an increasingly common theme in news media and academic materials related to Chechnya. Artem Kroupenev, for example, traces the development of political factions in the Chechen conflict, and the role of Islam in the fractioning of the Chechen leadership. Kroupenev suggests that the “Islamization” of the conflict was a result of the differences between traditional Sufi Islam and the imported Jihadi-Salafi form. Ieva Raubisko (2009) also addresses the question of Islamic religion in the Chechen conflict, and concludes that the perceived dichotomy between “Proper Traditional” and “Dangerous New” religious ideology is a false one. In other words, the author shows that this dichotomy is artificially constructed, imposed on the Chechen population by a range of theorists, media and leaders. In fact, however, there are “diverse lived forms of Islam” amongst Chechens, and the “multiplicity” of these diverse views is relevant and significant. Powerful Islamist forces in Chechnya, on the other hand, are definitely impactful on several levels, a major point of contention amongst the Chechens themselves, and certainly of great concern to a range of global leaders. Ilyas Akhmadov’s and Lanskoy’s (2010) chronicle of the Chechen war, revealing the “infighting amongst rebels, how the moderates lost to the gains of the Islamists,” is an instrumental illustration of the magnitude and consequences of the differences amongst Chechen leadership. These divisions continue today, and are a source of much bitterness amongst the Chechen population, many of whom claim utter disillusionment with all leadership sides, blaming them equally for the inability of the population to live in peace. Akhmadov’s and Lanskoy’s chronicle is an excellent source document for tracing roots and structures of ideological and social differences in the Chechen conflict, invaluable in conjunction with the present Principle Investigator’s field observations. In recent months Western media sources and advocacy groups have honed in on Kadyrov’s “Campaign for Female Virtue,” as evidence of the Islamization of Chechens, and increased repression of Chechen women. According to a March 2011 Human Rights Report, the Kadyrov regime’s implementation of dress codes in government buildings and educational institutions, along with harassment of women not wearing a headscarf on the street, work against women’s rights to equality. The current Principle Investigator, however, has perceived a much more complex meaning system connected with Chechen women’s headscarves. The headscarf is an ancient, multifaceted symbolic clothing item for Chechen women. It symbolizes passing from girl to woman, single to married, is a decorative part of an outfit, an expression of both pride and modesty. For women it is at times a nuisance as well – to be quickly adorned when guests arrive unannounced, or when appearing within public view in one’s doorway. By Chechen women’s codes, the headscarf is not generally regarded as a tool of their gender oppression. There is, however, some relevance to these Western depictions: there are recent trends in the types of headscarves being worn by Chechen women. One may see patterns amongst women from some social groups, to cover the entire head and neck, whereas modern Chechen headscarves have often been narrow, tied at the back of the neck, and with a significant amount of hair showing. The shapes, styles, and textures of these headscarves often change in parallel with clothing fashion. In more recent times, however, some families and social groups are demanding that women cover their heads completely, and in many cases, women are adopting this style themselves. These trends are often related to the question of “Islam” in Chechen society, the headscarf is a reflection of this, but these trends are not exclusive to the Kadyrov regime. These trends are also related, however, to an overall concern amongst the Chechen population in regard to what they see as “moral decline,” from a variety of perspectives. It is this Principle Investigator’s findings that oversimplifications of the headscarf issue would not resonate well amongst most of the Chechen population, both male and female, particularly given the general Chechen paranoia that Russia and the West are seeking to destroy Chechen culture. Further, while the patriarchal nature of Chechen culture is evident, one cannot underestimate the strength and influence of Chechen women in that system. The current proposed research will illustrate lived gender roles, and the identities that Chechen women ascribe to themselves. As much of the field research for the current Project was conducted amongst Chechen refugees in Turkey, published materials relevant to that context are necessary. Dweik (2000) provides an illustrative depiction of Chechen refugees in Jordan, and ways that those refugees have preserved their language and culture in a foreign land. Dweik explains this cultural preservation as a manifestation of “the social and cultural isolation of the Chechens from the mainstream Jordanian life.” In Turkey, Chechens are also socially and culturally isolated from the Turkish community, and this is largely through Chechens’ preferences. While Turks have given asylum to Chechens, supported their humanitarian needs since the beginning of the current conflict, and consistently extended their hand to them as “brothers,” Chechens portray these efforts as inadequate and insincere, preferring to keep Turks at a distance. Due to these distances, unfortunately, many Chechen refugees are not benefitting fully from the potential that Turkey is prepared to offer these refugees. There is an array of existing literature that describes Chechens’ living conditions and existence as refugees in foreign countries, and will provide informative contrast and analysis for examining the context of Chechens in Turkey. Additional supporting sources of information will include news articles about the Chechen crisis, to outline basic historical events. Specific internet websites will provide a bulk of other materials. There exist a handful of internet websites, Chechen and foreign, which propagate and follow the Chechen situation. Some interesting Chechen websites contain pages on traditional Chechen norms and culture. The perspective of these pages is often representative of known, meaningful symbols and attitudes in collective Chechen culture. Other Chechen websites are more directly related to the war conflict, focusing on news of attacks, deaths, spiritual reasoning, and interpretations of western media stories. Comparing and contrasting these norms and presentations with diverse opinions and explanations of the war will reveal the massive degree of cultural conflict, struggle, and change in Chechnya today. The Principle Investigator is acutely aware of the concrete boundaries between herself and members of the Chechen community, and the limits these boundaries place on the field research validity. A researcher strives to locate “truth” in findings, but this truth may be elusive due to several factors. Particularly relevant to qualitative research, a researcher cannot assume perfect knowledge on the part of the subjects of the study. Though Chechens may be defined as a bounded national group, there are distinct differences amongst individual Chechens – in level of formal education, personality and communicative styles, conditions and circumstances, access to information, and roles in relation to “outsiders.” The Principle Investigator is not a Chechen, and therefore all relations formed with Chechens were guided or at least influenced by these conditions. Much of the choice and form of information that Chechens conveyed to the Principle Investigator was framed with this consideration in mind, for a variety of motivations. What was not conveyed, on the other hand, may be of even greater significance. The advantage of the Principle Investigator’s long-term status with Chechens, however, is the ability to witness repeated patterns, changes, and actual behaviors over time. This proposed Project is timely and highly relevant in the worldwide context of division and mistrust between western states and non-western Islamic cultures. These global divisions are based primarily on strategic purposes, but their fuel is sourced from cross-cultural multi-layered misunderstandings. They are also intricately connected with the inter-cultural conflicts many western societies are currently struggling with, and also with the most recent upheavals in several Middle Eastern countries. Chechnya, a tiny nation in North Caucasus mountain range, is a highly relevant piece of this conflict puzzle. The most recent conflict in Chechnya began not as an Islamic question, but as a struggle for national sovereignty. This conflict, however, has transformed since the early 1990’s, in ideology, leadership, geographical scope, and the national reference has been to some extent sublimated to a battle over religion and culture. It is well known that Chechens are being kidnapped and killed, and that particular Chechen groups are involved in planning and carrying out terrorist activities. Much less is known about the inter-cultural conflicts involved inside of Chechnya, and how Chechen mentality, and differences are contributing to the prolongation, change, and escalation of this conflict. Russian information has served largely as a source of misinformation, and other foreign western sources are often biased and uninformed in their portrayals of the Chechen conflict and peoples. The Chechen international voice is virtually non-existent, shrouded in secrecy, faction, and miscommunication. Meanwhile, the Chechen conflict has no end in sight, and a forced peace will not endure. There are ample signs that this conflict maintains imminent potential to escalate and deepen. This is dangerous to both Chechens and their neighbors. The conflict needs to be reexamined and addressed, for knowledge and information that provide understandings on common platforms for policymakers and others involved in the Chechen situation. Finally, there are lessons to be learned in this conflict, about cultural change, differences, adaptation, and prospects for peace. Chechnya, ancient in collective identity and norms, is engaged in a very modern battle for cultural preeminence and survival, and the lessons of this battle are relevant worldwide. The Chechen conflict, like many global conflicts, is in part an ideological battle, and the fates of the entire nation of Chechens, and their neighbors, is at stake. Most backs are turned on Chechens, but the issue needs to be reexamined for complexity and clarity, to reveal resources that could lead to peace. Five months is needed to produce a draft of the document. It is anticipated that a final version of the document would be completed at the sixth month. Following completion, the Principle Investigator will provide IPRA with the final version of the document. The Principle Investigator may also utilize sections of the document text for further publication. The document will be further distributed to a list of websites, organizations, and/or groups, some of which are included in the Bibliography section of this document. These recipients will include humanitarian and human rights organizations, organizations and groups associated with peace-building and conflict resolution, and other groups and sites that concern themselves directly with the Chechen conflict. 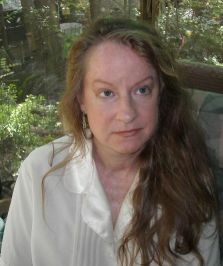 The Principle Investigator, Katherine S. Layton, holds a Ph.D. in International/Intercultural Development Education, a M.S. in Political Science, and a M.A. in Russian/East European Studies. She worked in Bosnia and Croatia as a humanitarian professional from 1992-1997, living and working in several refugee camps in Bosnia and Croatia. She completed her Ph.D. Dissertation, in 2000, on the topic of Bosnian refugee rights and conditions in Croatia. The dissertation is a critical ethnography of the political, social and cultural relations between refugees and their hosts, sponsors, and governments. From 2000 to 2001, the Layton taught political science and education courses at 2 community colleges in the U.S., and qualitative research methods at an upper-level university. The Principle Investigator left the U.S. again in 2001, to resume international humanitarian work, this time in the North Caucasus region. The work entailed developing and coordinating education and community programs and projects, together with Chechens, for Chechen refugees. This range of programs included tent schools, after-school programs, youth groups, vocational training, and a full “Culture Center” for teacher education and artist renewal. After 2.5 years in the Caucasus, she travelled to Turkey, where she volunteered to improve coordination of the humanitarian aid system for Chechen refugees in Istanbul. In Istanbul, the Principle Investigator lived in a Chechen refugee camp for 7 years, as the Chechens did, largely by their adat (social norms), and with them endured the difficult physical and social conditions of the camp. She lived as a full community member in the camp, participating in a range of activities that made up life in the camp. During those years, Layton advocated for the humanitarian needs and rights of Chechen refugees in Istanbul, by contacting and coordinating with Turkish assistance and rights groups. At that time she also worked with Turkish young professionals and university students, for thesis and dissertation preparation, international legal English, and general language tutoring. Mr. A. Sacid Urengul, Attorney at Law, Ph.D. Candidate. Maritime Institute/Law Faculty, Ghent University. Dr. Vandra Masemann, Adjunct Associate Professor. Comparative, International and Development Education Program, Ontario Institute for Studies in Education, University of Toronto. Dr. Rick Murgo, Chair of Political Science and Economics. History and Social Sciences Building, Tallahassee Community College. Akhmadov, Ilyas, and Lanskoy, Miriam, and Brzezinski, Zbigniew (Foreword). 2010. Independence Won and Lost. Palgrave Macmillan. Akhmadov, Musa. 1999. In Chechnya, the Right to Culture, pp.111-113. LAM – Center for Research and Popularization of the Chechen Culture. Moscow: Polinform-Talburi Publishers. Dweik, Bader S. 2000. Linguistic and cultural maintenance among the Chechens of Jordan. Language, Culture and Curriculum V13(2). Johnston, Hank (2008). Ritual, strategy, and deep culture in the Chechen national movement. Critical Studies on Terrorism. V1(3) (December 2008). Raubisko, Leva. 2009. Proper ‘traditional’ versus dangerous ‘new’ religious ideology and idiosyncratic Islamic practices in post-Soviet Chechnya. JASO-online N.S. Vol. 1, No.1. ISSN: 2040-1876. Announcement of Book Publication: Layton, Katherine S. (2014). Chechens: Culture and Society. New York: Palgrave Macmillan. Upon completion of her research document sponsored by IPRAF’s Small Peace Research Grant, Katherine S. Layton submitted a manuscript of the research to Palgrave Macmillan, culminating in the publication of her book, Chechens: Culture and Society (released December 2014). Chechens: Culture and Society, is now widely available, and Layton has begun the process of contacting various Chechen administered websites, to inform of the publication and to invite discussion and dialogue. In addition, the author has constructed a Chechens Facebook page for the book with posts that include interesting extracts and examples of Chechen cultural norms, along with relevant current events. Katherine S. Layton anticipates that Chechens: Culture and Society, will inform audiences of the complexity of the Russian-Chechen/Caucasus conflict, the diversity of Muslim cultures, and the struggles for peace and development that indigenous and transitional communities experience in our globalized world. Chechens: Culture and Society is an ethnography that elaborates the lived experiences of Chechens, focusing primarily on relationships and socio-cultural norms within the context of the current conflict in the Chechen Republic. Drawing on ten years’ experience living and working with Chechens in the North Caucasus Republic of Ingushetia and Istanbul, Turkey, the author utilizes tales as data, incorporating direct observation and her own participation in Chechens’ lives. The book examines norms described in their ‘ideal’ form, as told by Chechens, but also norms as they are played out in real lives. At present, nearly one-third of the Chechen nation lives as refugees outside the homeland. This is a time of cultural exploration for Chechens, perhaps a revival, perhaps destruction. The book explores the socio-cultural structures involved in managing the Chechnan collective and also examines differences and conflicts within the collective, providing insight into the difficulties of maintaining cultural standards under difficult circumstances.